This year there will be an Illuminated Boats Event at the top of Foxton Locks. This will be a CRT event undertaken in conjunction with local organisations. 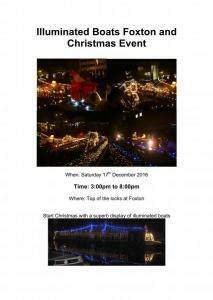 There is no Illuminated Boats event in Stoke Bruerne this year.